Outdoor Photographer Magazine published Kevin McNeal's article called "Filters For Fall Color Photos" in their October 2018 issue. 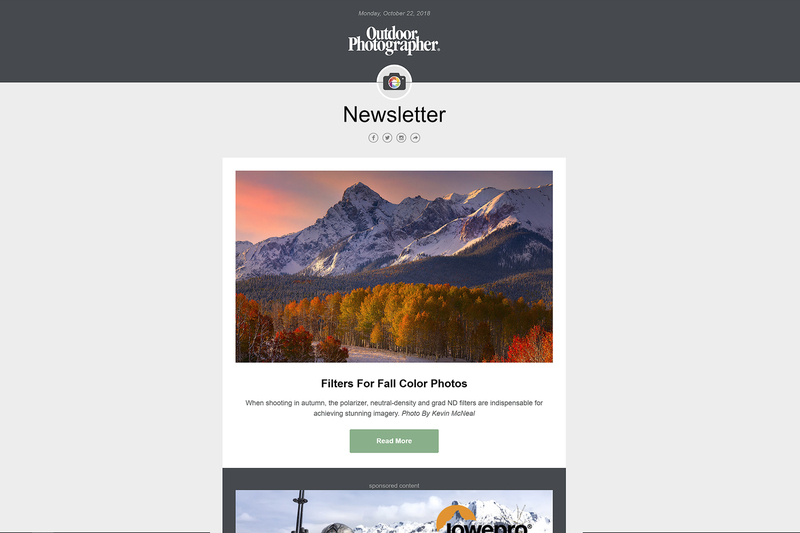 Kevin McNeal’s article called “Filters For Fall Color Photos” is published in Outdoor Photographer Magazine’s October 2018 issue. If you’re looking for inspiration on which filters to choose when out shooting, look no further. Kevin’s got you covered.